Data today has literally become the blood that gives life to businesses. 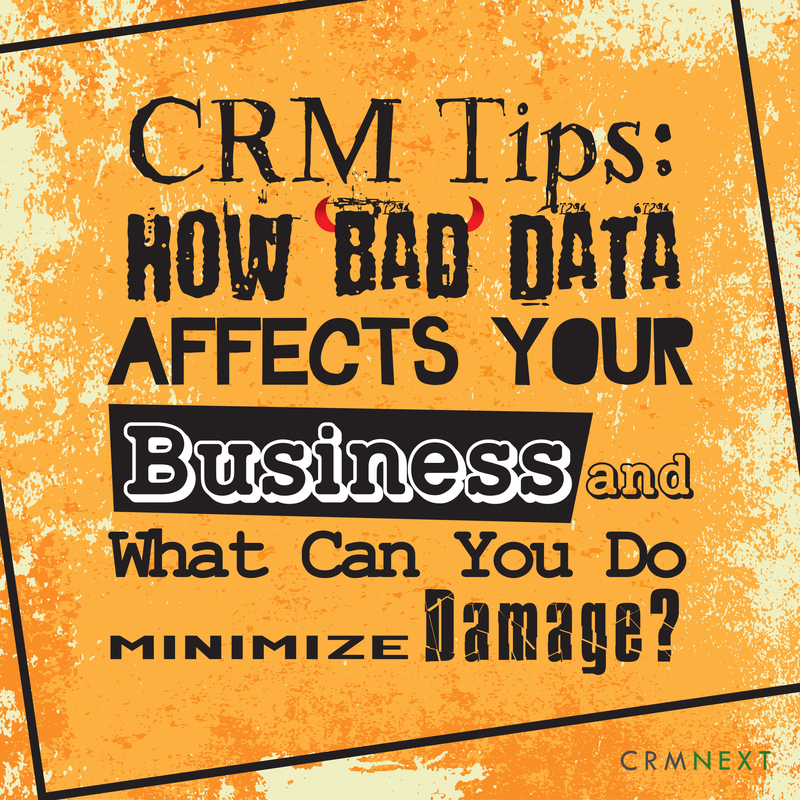 But just like blood, bad data can turn cancerous for your business. Companies use data in two significant ways, and they include carrying out transaction or operational activities and analytic purposes, particularly in CRM solutions. Both usages rely on the quality of the data. The data should be of sufficient quantity and quality to meet the needs of the organization. You should be careful in assessing, measuring, and reporting any irregularities associated with data quality. This helps to avoid business catastrophes, some of them listed below. Studies conducted globally have indicated that poor data quality can lead to increased operational costs and decreased revenues to an organization. The organization will also experience a reduction in efficiency or delays in cash flow. The delays in cash flow will likely result from delayed clients invoicing, missed customer invoicing, and ignored overdue customer payments among other factors. As we are going to show in the next section, you can use the functionalities available in Digital CRM to take care of bad data. These are associated with missing to meet the expectations of the customers in the market. They include the sales costs, purchases per customer, service costs, and sales costs among others. Low satisfaction levels bodes ill for any company. Poor data quality acts like a fog. It hinders the ability of businesses to make decisions regarding crucial matters. Incorrect decisions that are misinformed or under-informed will taken and executed. Mailer campaigns, ATL or BTL messaging will fail due to corrupt data. CRM platforms that enable you to know the details of undelivered emails, but why allow it to happen in the first place? You miss the chance for personalized engagement due to bad data. Customers tend to lose trust in the organization due to wrong billings or communications arising from the poor data quality. The incidences of customer complaints will rise and if the relevant systems are comprised with bad data, then wrong reports will be generated. After all, you need data to come up with one. Bad data can increase the organization’s exposure to problems such as compliance risks and financial risks. The financial risks can include investment depression, loans default risks, and noncompliance penalties. The organization can also get exposed to legal risks. Market risks such as commodity risk, competitiveness, currency risk, and equity risks are also common in such situations. The process of designing workflows should be standardized with the help of checklists. This will help avoid human errors. Data sanity checks should also be conducted at regular intervals. Automation should be used as much as possible to obtain accuracy. This will fix issues in manual entries. Putting in validations rules will also ensure that the data entries are consistent. Duplicates takes up space and efforts and make information go haywire, in certain cases, straining budgets. Remove them with the help of dedupe in your CRM that automatically intimates and removes duplicates. Do you use any other methods in your inventory to combat bad data? Share your thoughts in the comments section!